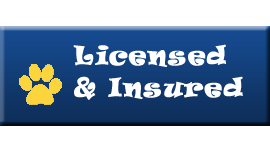 Welcome to Robin’s Nest Pet Care! 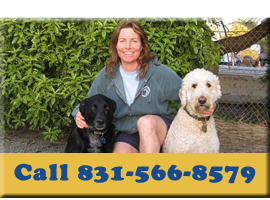 We provide quality professional pet care services in Santa Cruz, Capitola, Aptos and beyond. Our kennel free dog boarding and dog walking services offer plenty of room for your dogs to socialize in a safe, cage-free kennel environment. The Robin’s Nest Live Oak kennel has a spacious back yard, giving our visitors freedom to roam and play. Dogs regularly play and socialize with other visiting dogs and staff throughout the day. 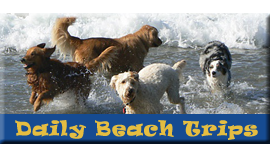 Dogs staying at our kennel get daily walks or trips to the beach that are supervised by experienced personnel. We also provide bike-ride-assisted runs for those dogs who have an abundance of energy. For our overnight kennel visitors, there are plenty of comfy dog beds to sleep on, though you can have your dog sleep in a crate if your dog prefers it. We also provide dog sitting visits to your home while you’re at work or away for the day. 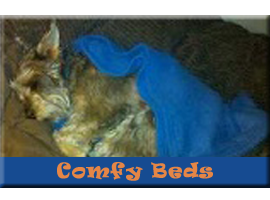 We will feed, walk your animals and provide plenty of attention that your pet deserves. We can also stay overnight at your home when you’re away to watch your animals, feed them, walk them, check your mail, water your plants, etc.